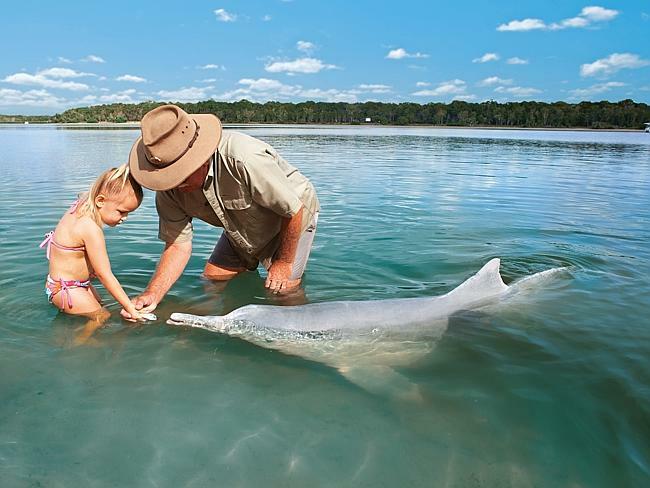 - Interact with wild Australian Humpback dolphins. - Hand feed rare unique dolphins. 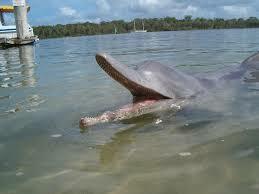 - Hear about the dolphins life history and behavior’s. - Ideal for all ages. north of Brisbane & just below Fraser Island. Australia 4581. Please allow 2-2.5 hours from pick up to drop off. 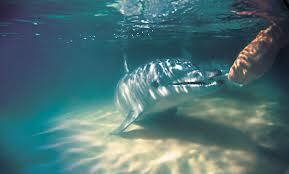 - Depart Rainbow Beach 6.30am daily by 4wd bus, 20 minute drive to arrive at Tin Can Bay marina. group of people in the water at any one time. - Feeding commences shortly after the dolphins arrival at 8am. 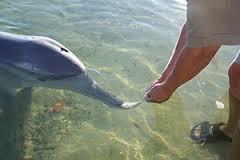 - Dolphin feeding does mean getting wet, at least up to your knees...so come prepared! 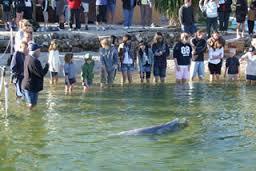 - Feed the wild Humpback dolphins with guidance by the guides. - Relax for a coffee or some food at the Café. - Return trip to Rainbow Beach. What’s Included: 4wd transportation, guides, entry, one fish per participant. What to bring: Camera, towel, sunscreen, water.